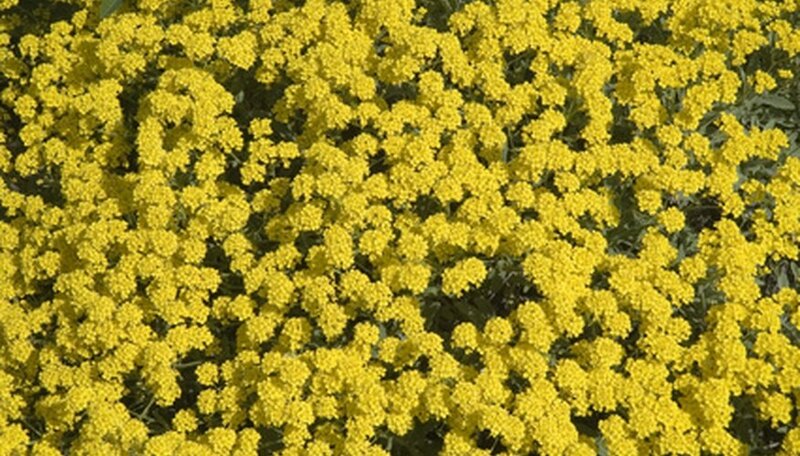 Plant a yellow garden to warm up the season after the winter thaw. Yellow flowers range in shades from cream to yellow-orange. Whenever flowers call for spring planting, it must be after the last frost. 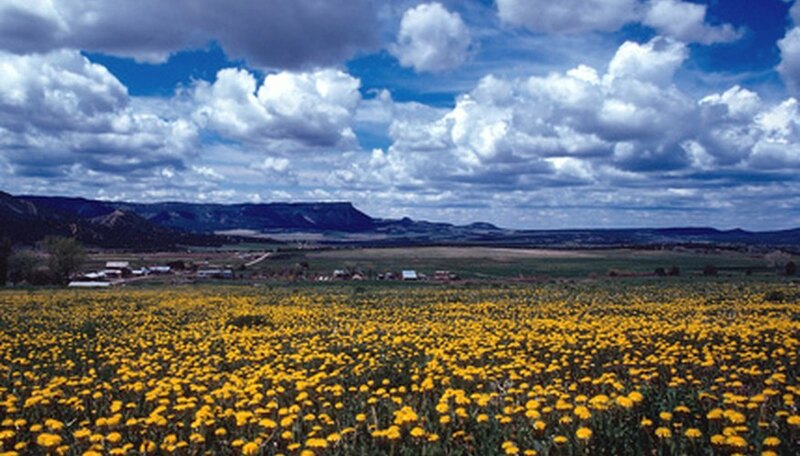 Most spring flowers tend to have a shorter bloom time than summer flowers. If a monochromatic garden isn't desired, try planting with blues and purples for a striking visual effect. 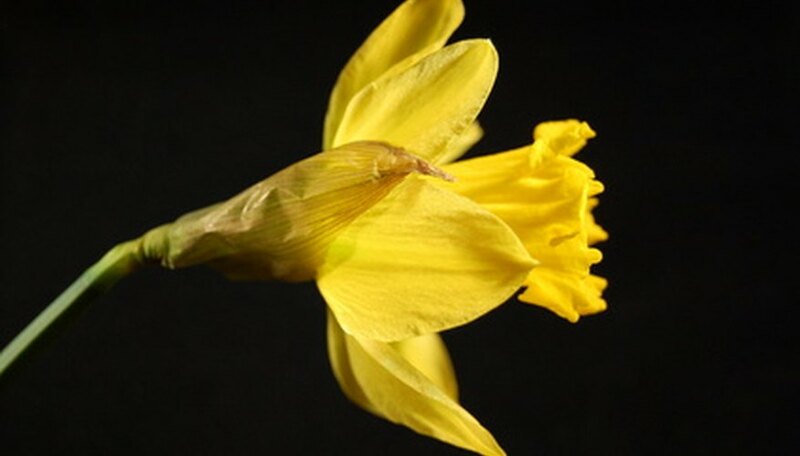 Plant yellow daffodils in the fall for early spring blooms. Daffodils are easy-to-grow perennial bulbs when planted in well-drained soil. They grow from 3 to 20 inches tall, depending on the variety. Daffodils may be left in the ground for three to four years. After that, dig them up in the fall. You will find that your daffodils have multiplied. Divide them and plant immediately in the ground with the older daffodils. Daffodils bloom from February through early spring. 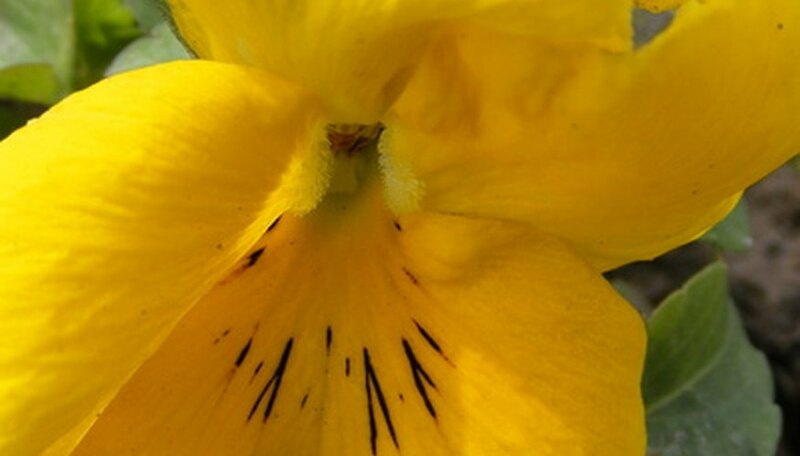 Plant yellow pansies in the spring. Pansies are an annual, cool-weather plant. This staple for the spring garden grows to a height of 5 to 10 inches. Plant them 6 to 8 inches apart in well-drained, fertile soil, rich in organic matter. Keep them evenly moist by applying mulch. Pansies sometimes last through the summer in the humid climate of the Southern United States. 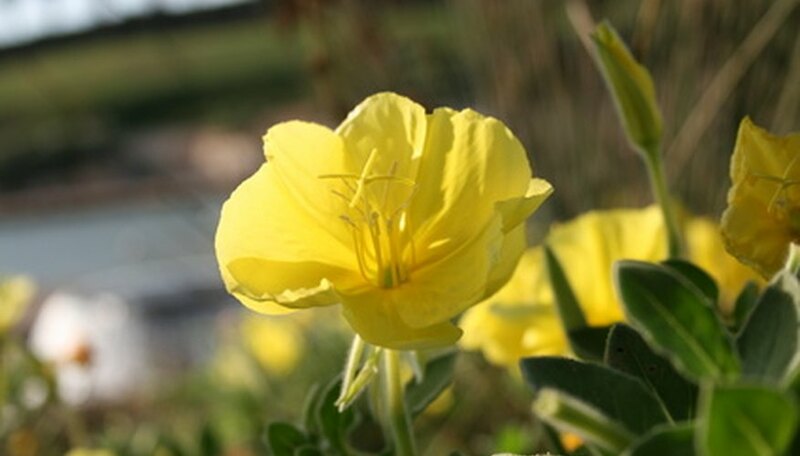 Plant the perennial primrose in February for early spring flowering March through May. Mass plantings under deciduous trees or in drifts at the front of shaded bed borders look best. Deadhead primrose for prolonged blooming. 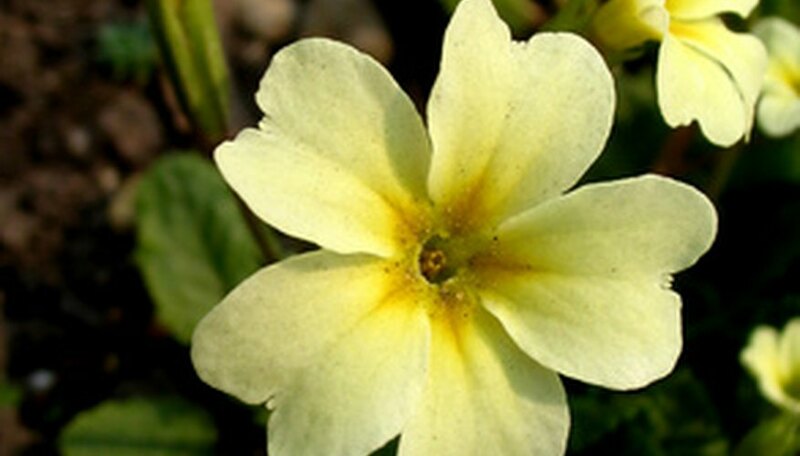 Primrose does well in any cool sheltered spot with soil that retains moisture. If you have heavy clay soil, you still need to add amendment, but not as much as for other flowers. Amendment may be purchased at any garden center. One third amendment to two thirds clay soil should be adequate. Keep plants moist by applying mulch. Plants grow 4 to 6 inches high. Plant perennial golden dust flowers after the last frost, for a mid to late spring display. These evergreen, mounding flowers grow from 4 to 12 inches in height, forming a mound up to 16 to 20 inches across. A native of rocky, mountainous country, it's ideal for rock gardens, dry, sloping ground, or borders in the flower garden. Provide it with excellent drainage. Plant ranunculus in late summer and fall for blooms during winter and spring. These plants are frost hardy and reach a height of 8 to 10 inches. Plant in well-drained soil for spectacular blooms. If you'd like to start indoors and set out flowers in the spring, start them in pots with a multipurpose compost.